The last time Penrith won the Poidevin-Gray Shield their side featured a couple of handy players that would eventually go on to represent their country in Pat Cummins and Jordan Silk. This Sunday at Howell Oval, the Penrith Cricket Club have the chance to win their first U21s title since that very day back in March 2010, when they battle Gordon. The road to the Grand Final was quite a unique one for Penrith after their Semi Final clash against Fairfield-Liverpool was washed out a fortnight ago. The unfortunate weather proved a blessing for Penrith because, due to their higher standing, they automatically advanced to the all-important decider. Penrith coach Michael Castle said winning the club’s fourth Poidevin-Gray Shield title this Sunday would mean everything to the club. “Winning titles in PG Shield and Green Shield indicates where your club is headed in the future,” he said. Penrith’s U21s team features a plethora of local talent including many regular first graders. Castle said the experience his players possess will be a huge advantage come Sunday. “There’s about four players that play first grade regularly and seven that have first grade experience,” he said. 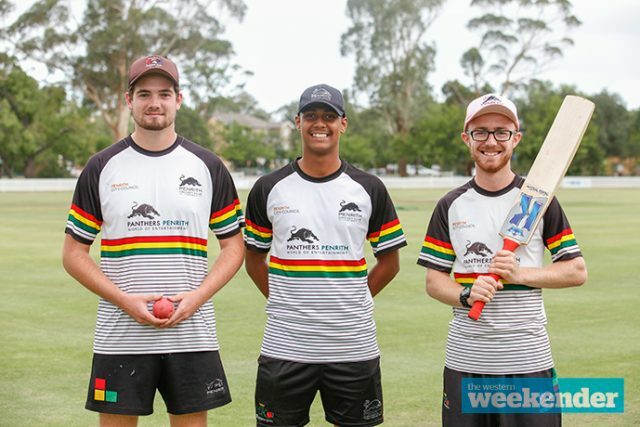 While Penrith will be gunning to win another piece of silverware, it will also be an emotional affair for four players – Brent Atherton, Andrew Hazard, Cameron Weir and Jake Wholohan – who will play their final game in PG Shield this Sunday. “They’ll all be pretty keen to get out there and finish on a high note,” Castle said. Penrith will go into Sunday’s match big favourites, with the side having three of the top seven leading run scorers in the competition including Ryan Hackney (425 – 1st), Cameron Weir (302 – 4th) and Atherton (279 – 7th). Penrith will battle Gordon in the Poidevin-Gray Shield Grand Final at Howell Oval this Sunday from 10am. Entry is free.